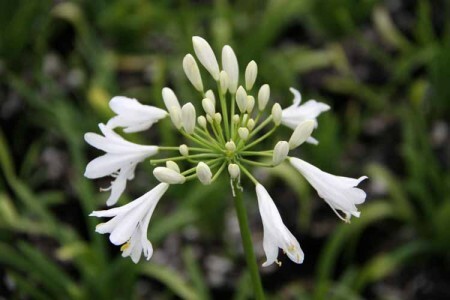 Miniature form of Agapanthus. Getting to 40cm high. Pure white flowers on green stems.